IP Result of anti-VAPA (IP:15275-1-AP, 3ug; Detection:15275-1-AP 1:1000) with HEK-293 cells lysate 3200ug. 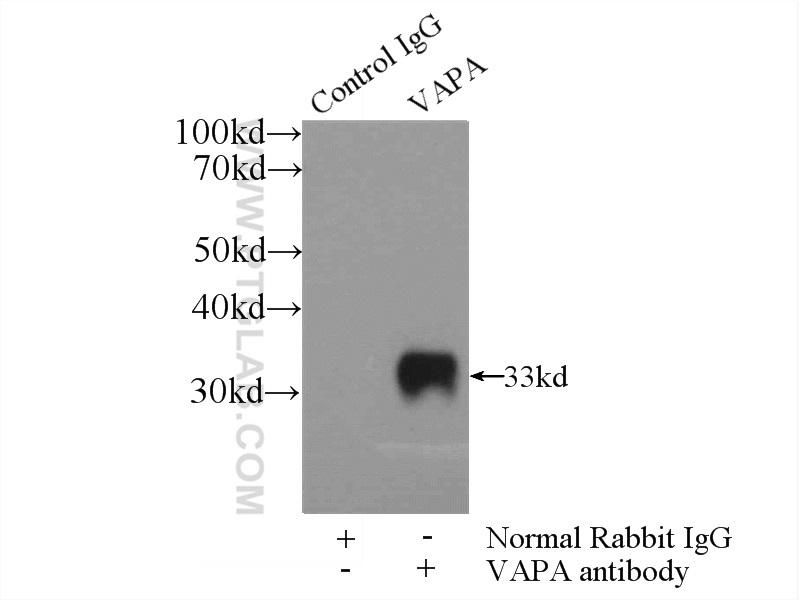 VAPA (Vesicle-associated membrane protein-associated protein A), also known as VAP33, is a 33-kDa, ubiquitously expressed integral membrane protein of the VAMP-associated protein (VAP) family. It is present in the plasma membrane and in intracellular vesicles, playing a role in vesicle trafficking. The ER Contact Proteins VAPA/B Interact with Multiple Autophagy Proteins to Modulate Autophagosome Biogenesis. Phosphoproteomics Identified an NS5A Phosphorylation Site Involved in Hepatitis C Virus Replication. The ER-Localized Transmembrane Protein EPG-3/VMP1 Regulates SERCA Activity to Control ER-Isolation Membrane Contacts for Autophagosome Formation. Immunohistochemistry of paraffin-embedded human liver cancer tissue slide using 15275-1-AP (VAPA antibody) at dilution of 1:200 (under 10x lens) heat mediated antigen retrieved with Tris-EDTA buffer(pH9). 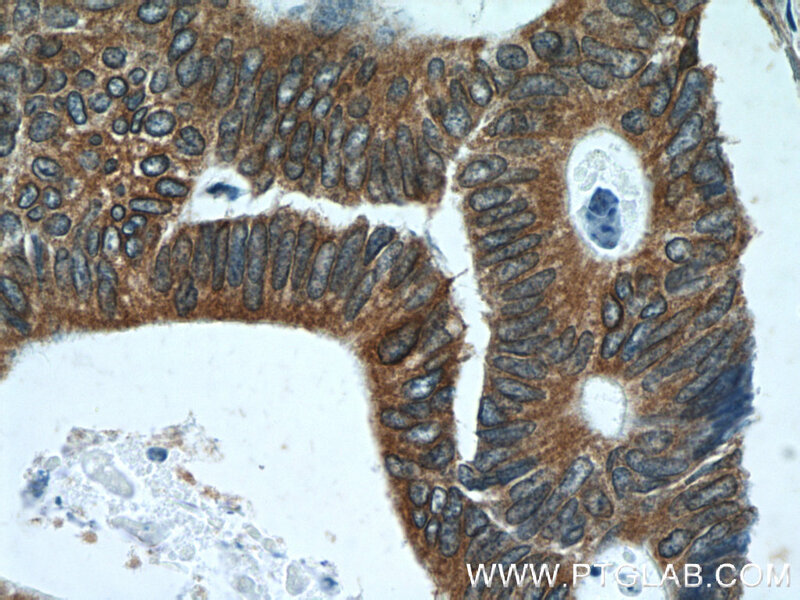 Immunohistochemistry of paraffin-embedded human liver cancer tissue slide using 15275-1-AP (VAPA antibody) at dilution of 1:200 (under 40x lens) heat mediated antigen retrieved with Tris-EDTA buffer(pH9).